When it comes to the fundamentals of karate, most people have a basic idea of what karate looks like to them. 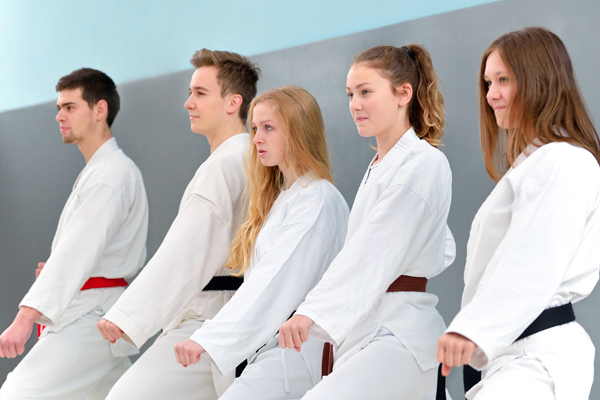 Those who have practiced the martial art probably have an even better understanding of the traditions and meanings behind karate, and they may even know some of the history. 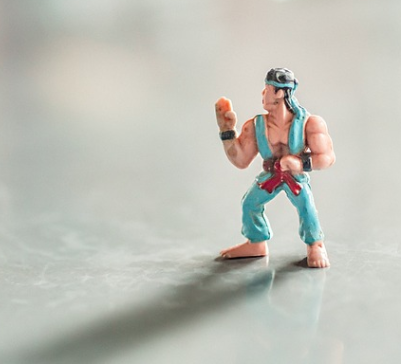 Whether you’re new to the martial art or have been practicing a long time, these fun facts may add some tidbits to what you know about the history of karate. #1 – Karate comes from two words: “kara” meaning empty, and “te” meaning hand. That’s because karate is a martial art that focuses on hand-to-hand combat rather than the use of weapons. 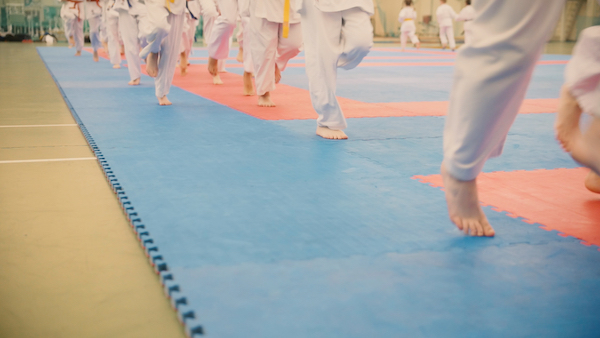 #2 – The first style of karate was started on Okinawa. This rough fighting style was then polished and changed as it spread throughout Japan. 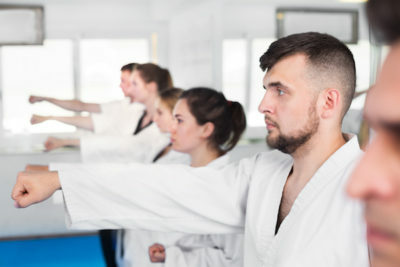 #3 – Though karate has roots in self-defense and discipline, it’s also used by many as a fitness workout that adds to their own exercise regimen. #4 – Gichin Funakoshi is credited with popularizing Shotokan karate on the main islands of Japan. #5 – It takes about 3 to 7 years to become a black belt, though everyone goes at their own pace! 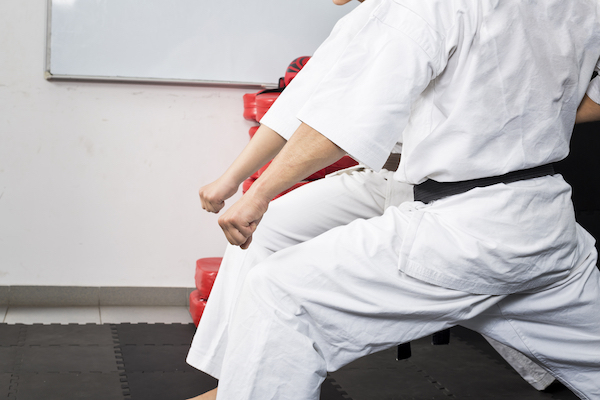 #6 – In addition to becoming stronger, karate helps you to work on your focus, discipline, agility, and flexibility. 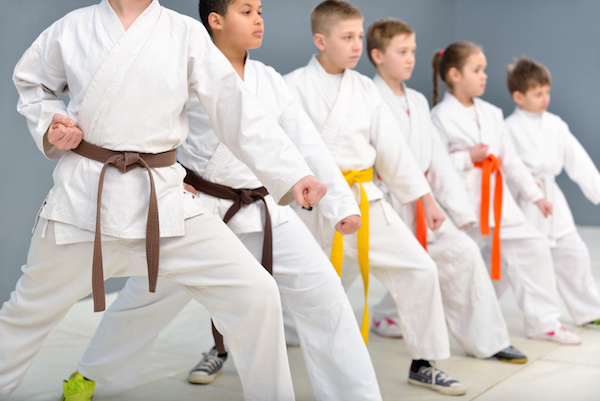 If you want to find out more about karate or put this martial art into practice, don’t hesitate to reach out to Karate Families! We offer classes for kids and adults alike so, no matter your age, you’re more than welcome to join!